"Friendly staff and the hotel had lots of amenities." Have a question for Goodstay Eden Motel? "It was at this point I realized it was a love motel - 2 toot..."
If what you're looking for is a conveniently located hotel in Jinju-si, look no further than Goodstay Eden Motel. Only away, this 2-star hotel can be easily accessed from the airport. With its convenient location, the hotel offers easy access to the city's must-see destinations. 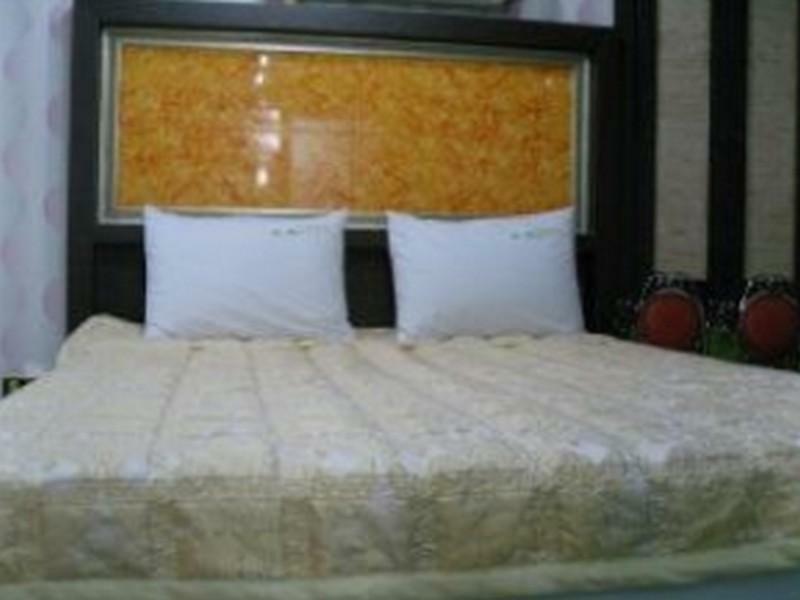 Goodstay Eden Motel also offers many facilities to enrich your stay in Jinju-si. The hotel offers access to a vast array of services, including free Wi-Fi in all rooms, 24-hour front desk, express check-in/check-out, luggage storage, Wi-Fi in public areas. Step into one of 20 inviting rooms and escape the stresses of the day with a wide range of amenities such as television LCD/plasma screen, internet access – wireless (complimentary), non smoking rooms, air conditioning, desk which can be found in some rooms. Besides, the hotel's host of recreational offerings ensures you have plenty to do during your stay. Goodstay Eden Motel is a smart choice for travelers to Jinju-si, offering a relaxed and hassle-free stay every time. "Location (very close to the bus station),"
friendly staff and the hotel had lots of amenities. located right on the river right in the centre of the city. Somehow I hadn't realized before booking, but this is a "love motel" - my first time to stay in one, in fact. The main reasons we chose this motel were (1) location (very close to the bus station), (2) price, and (3) availability (we were traveling during a very busy week, so options were limited within our budget). Upon entering a friendly woman asked for our reservation number, then gave us the room key plus a plastic zippered pouch with some...gifts. It was at this point I realized it was a love motel - 2 toothbrushes, some soap, and a pack of 3 condoms! How generous :) The room had a TV, computer, dvd player (I think? ), AC, and large bathroom with double shower. We realized the toilet was blocked, and after communicating through Google translate, the attendant came straight up to fix it. I did see a number of past occupant hairs in the bathroom, but other than that the place seemed quite clean. The bed was comfortable and the windows had screens, sliding glass with frosted tint to keep prying eyes out, and even heavy wooden shutters to block any light! It was easy to sleep in the next day. I'm not sure if the price we paid was the normal price, or elevated due to the popular travel week, but if it was a bit cheaper, I would stay again. The staff were so friendly! They gave us extra blankets and pillows, and they even tidied our stuff when they cleaned our room while we were out the second day. The staff were very friendly and helpful. We communicated in simple Korean and they were very accommodating! This was a good budget motel for Jinju. Was very clean, which is good, but the room smelled of smoke. Staff did not speak English. Location. Large garage. Sweet hosts. Clean. It was perfect for our one night in Jinju for the lantern festival. Couldn't beat the location. We knew to bring enough bedding for our kid's pallet on the floor (ages 9,6, & 6). They do not provide extra beds, but enough room for a 3 man pallet. It was just such a great stay at the Goodstay Eden Motel and we enjoyed it very much. The hotel was situated very close (100m walking distance) to the central bus station and was also very close to the fortress and the city centre (less than 5 min walking distance), thus perfect for travelers. 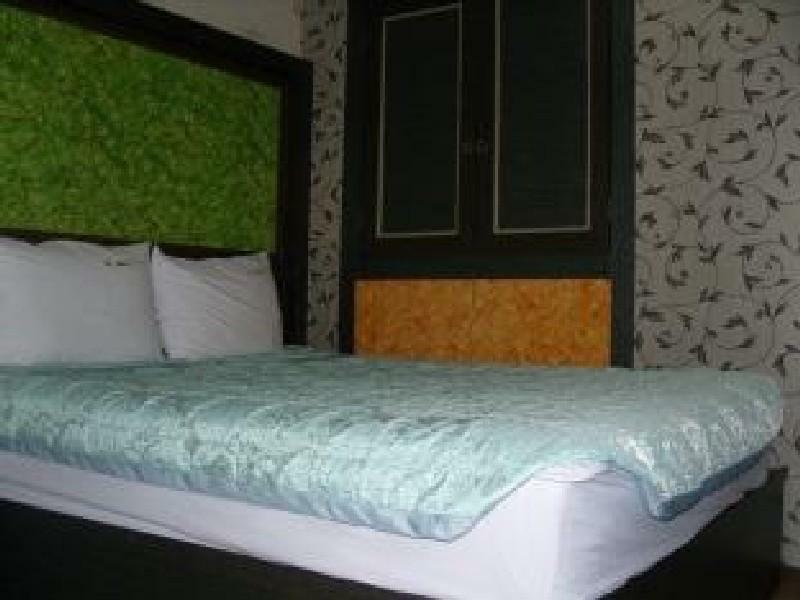 The rooms had just recently been renovated and were very modern, comfortable and clean. We even had a bed with electrical massage function. The staff was really great and the hotel owner, a lovely lady with her husband, were really kind and friendly. They even provided us with free homemade cookies and very delicious homemade korean rice cakes as well as beer. It felt like home! Only korean speaking staff, but anyway yuo are in korea..
Good location next to bus station an river. 10 min walk along river to the fortress. Easy check in. Easy hassle free motel, reasonable standard. Good for a night or two. Other than our difficulty in finding the motel (no one knew where it was) and the very hard beds in South Korea, we had a great stay. The staff was friendly and helpful with almost no English language skills. good stay, but very expensive (maybe because of the lantern festival?). By the way, do not use agoda to book it! They charged me 60000 won when at the front desk of the motel they only ask for 50000 won for the same room !!! There are a lot of motels along the river bank, behind the bus terminal, so no need to worry about finding one. Stayed during Jinju Yudeng (Lights) Festival, was very near to event, roughly 3mins walk. Upon arrival, i was shocked. There werent any lights in the hotel lobby, everywhere was pitch black. Floor hallways only had neon blue lights on. There were men wearing bathrobes roaming in their room (and they didnt close their doors). All in all, what you can find in a budget motel. Not recommended for female solo traveller. We're enjoy the lantern festival and very close back to hotel. Food is 'everywhere'. Although no facilities, this is good hotel for us, as we only stay there for sleep. Very conveniently located close to bus station and with views looking over the river. Staff were very friendly. Room was clean, comfortable and well-equipped. it was overall a rather pleasant stay and i had a fun time with friends there. small and cozy and staff was nice enough. I loved this room. The staff was extremely friendly and helpful. The motel is right on the river, so all one need do is cross the street to have a beautiful view. I stayed here for the Floating Lantern Festival and couldn't have asked for a more convenient location. I loved that the room had its own computer with internet access. There was even a small breakfast table! I had a wonderful time at the festival and a great stay at the motel. The hotel was nice and quiet, and had a great view of the river. It is located where everything to see in Jinju is at, so it is a good stay. The room was quiet and the bed was spacious and vibrated! It was a good stay overall.